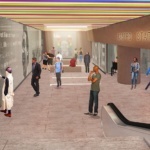 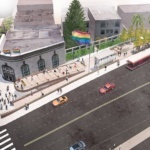 The updated designs were submitted to city agencies this week in an effort to begin the formal approval process for the renovations envisioned for the plaza and its associated Muni subway station. 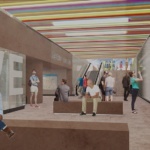 The extensive renovations come as the city works to perform required Americans with Disabilities Act (ADA) upgrades for both facilities, including the addition of an elevator that will connect the street level to the subway platform. 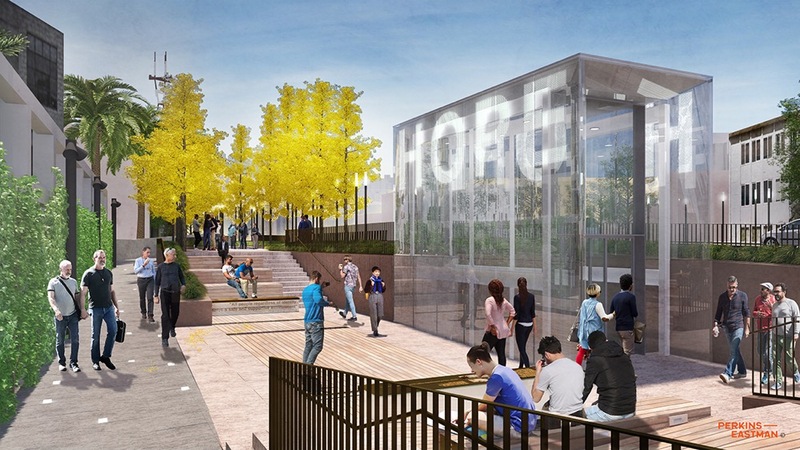 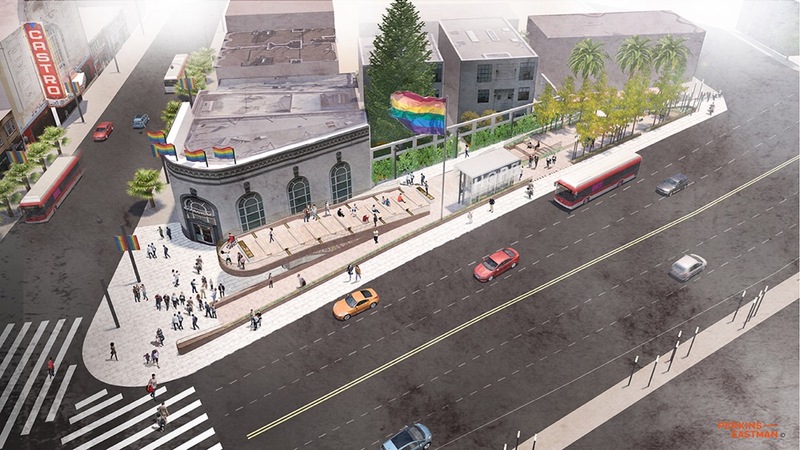 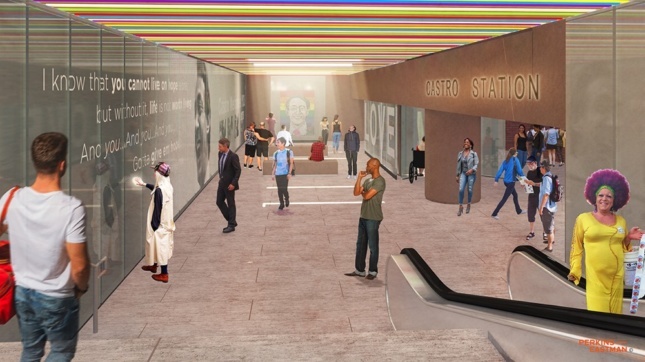 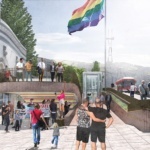 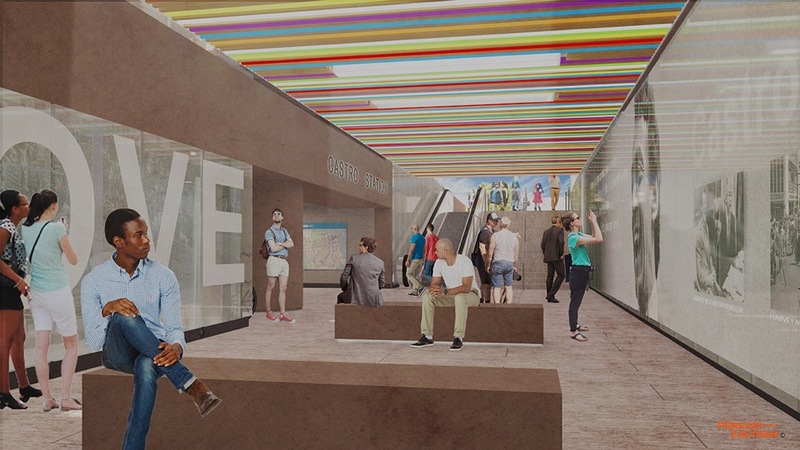 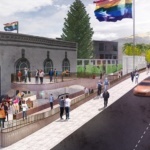 Backers for the project also seek to boost the plaza’s function as a memorial to Harvey Milk, San Francisco’s first openly gay elected official, and to create a new gateway into the city’s Castro neighborhood. 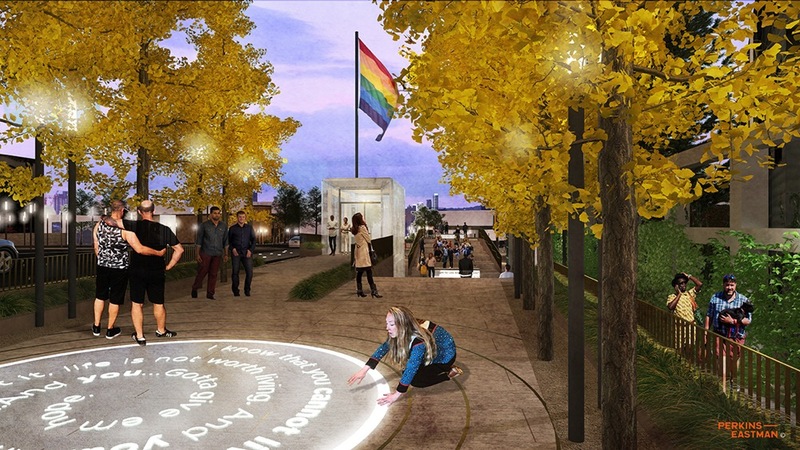 Perkins Eastman was selected in 2016 as part of an international design competition held by Friends of Harvey Milk Plaza (FHMP), the volunteer group with business connections in the neighborhood. 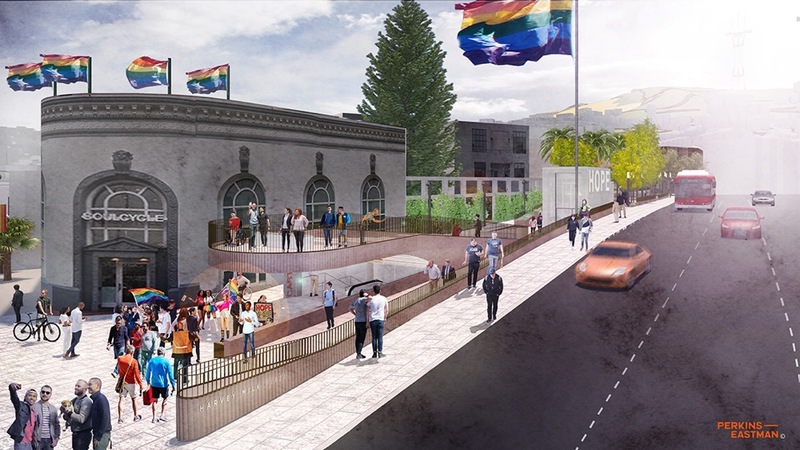 The latest renderings for Harvey Milk Plaza come after a previously-released iteration of the design was met with community opposition. 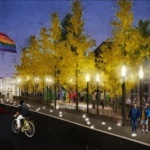 Perkins Eastman revised the plans following four community workshops over the summer. 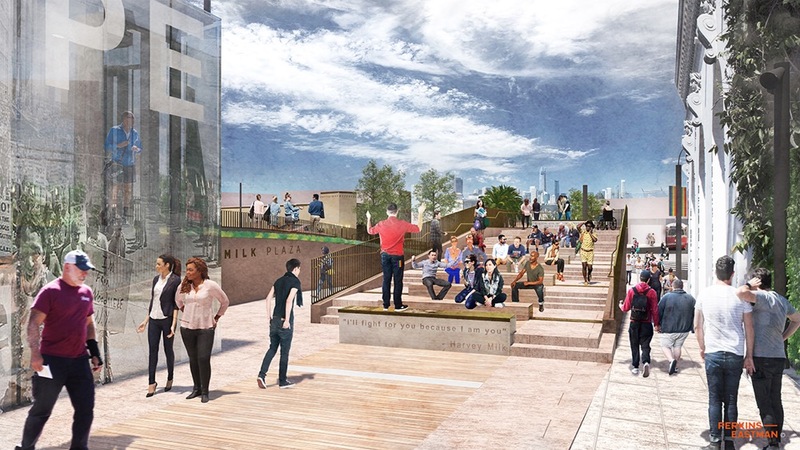 The initial designs featured red paving and a uni-directional “stramp” (stair-ramp) that crossed the site going toward the west to create an elevated community amphitheater with the subway entrance located below. 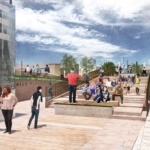 The new plans have flipped the arrangement by rotating the amphitheater and subway entrance 180 degrees so that they are located at the easternmost corner of the site, where it is expected that foot traffic would be greatest. 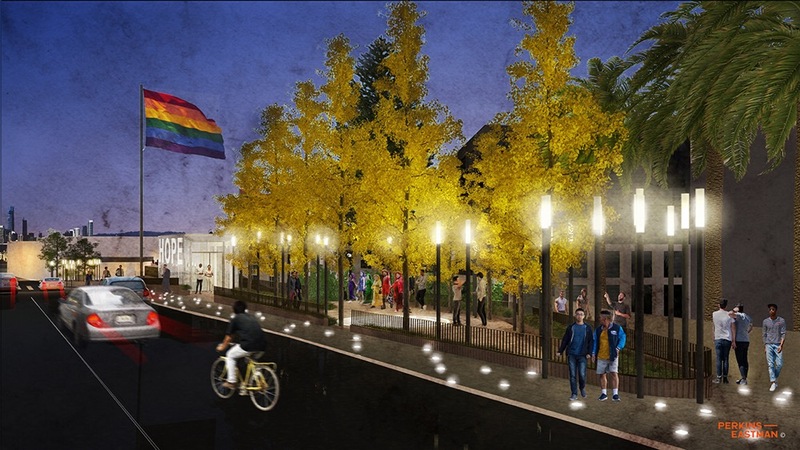 The center of the plaza is now marked by a new elevator with the western edge of the plaza populated by low-slung benches and a grove of trees. 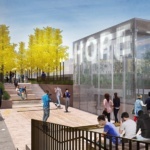 The plaza redesign is more-or-less the product of community input, Hoodline reports, a delicate dance the designers and organizers have played with local residents as they seek to win on-the-street approval for the project. 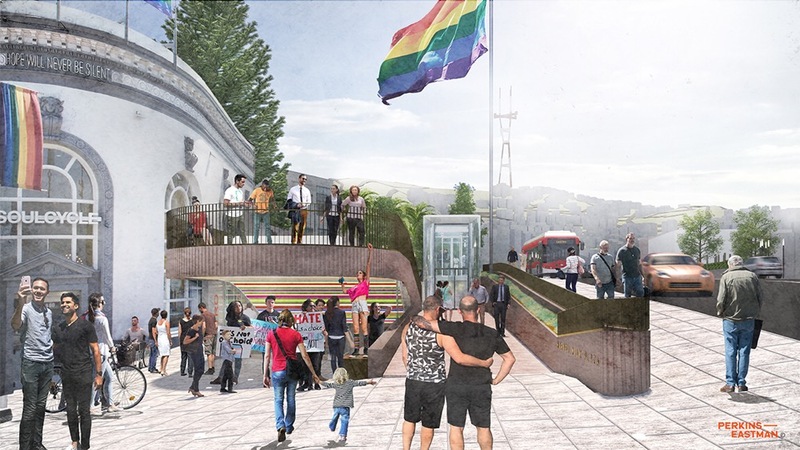 The designs, however, are relatively unloved by San Francisco Chronicle urbanism critic John King, who has lamented that the plaza would weaken the vitality of the district’s street life by pulling pedestrians away from its key attractions. 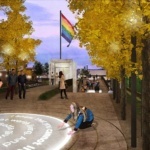 King added that the proposal’s function as a true memorial to Milk’s legacy could better be suited by other means, as well.